There is an urban legend that a group died after eating hot dogs roasted over Oleander. The Oleander when fully matured will grow to be 6-12 feet, but can reach 20 with proper cultivation. The Oleander has stems that jettison upward, one can image a classical flower stem with much more foliage and height. The leaves grow in pairs or threes which are leathery and thick. These leaves are much longer (2-8 in.) than wide (.4-1.4 in.). The Oleander flowers cluster at the ends of each branch. The colors vary from apricot, copper, pink, lilac, red, purple, salmon, yellow, and white the depending on the variety. The flowers are known for their sweet pleasant scent. The Oleander has a fruit that is not edible as the Oleander is one of the most poisonous garden plants in use today. This toxicity makes the Oleander a deer resistance plant. Naturally the Oleander occurs along stream beds in river valleys. 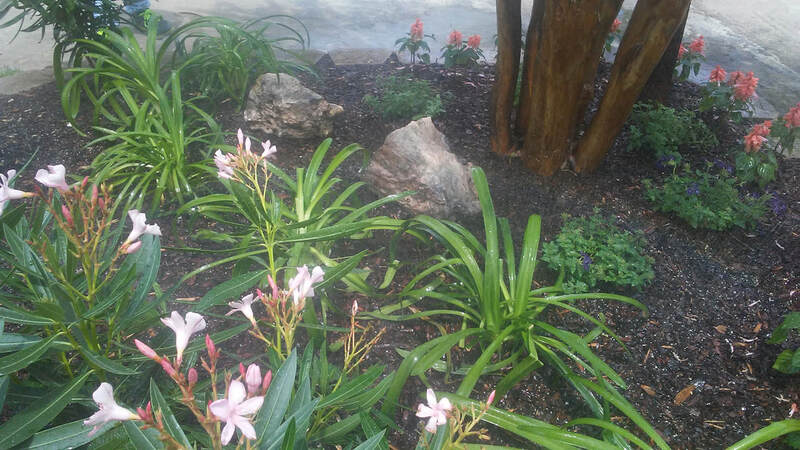 The Oleander is a survivor and able the live through drought and over abundance of rain. It is also freeze resistant and can withstand short periods of frost with temperatures reaching 14 degrees. Furthermore, the Oleander can tolerate poor soil and light salt spray. 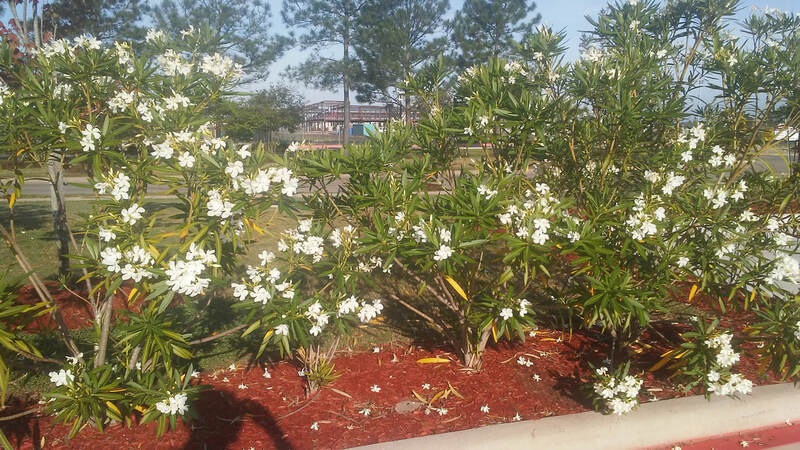 It’s durability makes the Oleander a favorite choice for parks, roadsides, and as wind blockers. 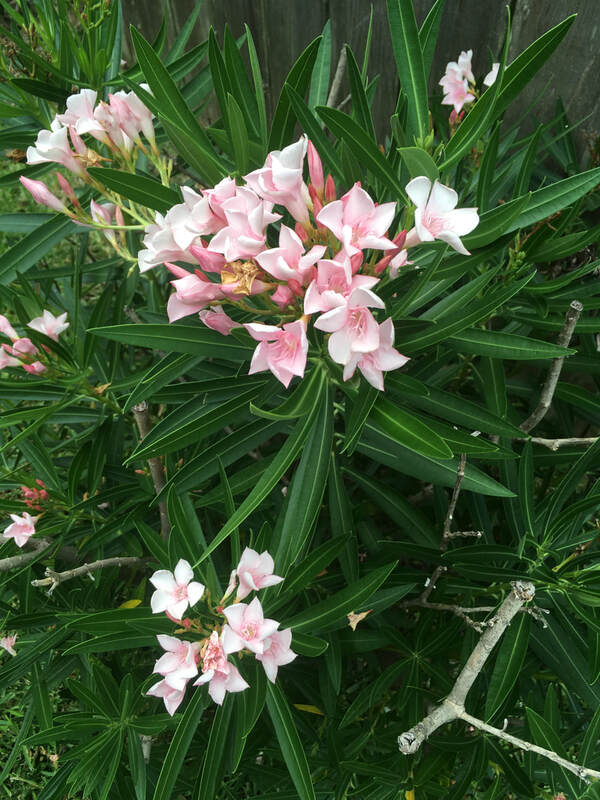 Planting and Maintaining the Oleander is relatively simple, this plant can be considered low maintenance. 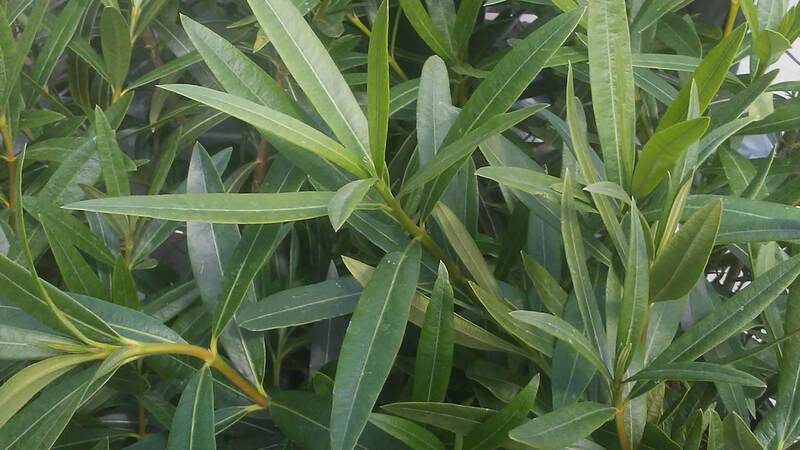 Oleander prefers a diet in full sun to light shade and well drained soil. However, they can adapt to both dry and marshy soils. Space plants 6 to 12 feet apart, depending on variety. Dig a hole only as deep as the root ball and 2-3 times as wide. If the soil is in poor condition apply a layer of compost, otherwise do not amend at all. Once planted in the hole fill hole with soil and wet, then once settled fill to even to slightly higher than grade. It does not require regular watering, but will grow more vigorously with irrigation. They respond well to heavy pruning, this pruning should be done in early autumn or early spring to keep plants plants from becoming overgrown and unsightly. In the spring spread a large layer of composite under the plant all the way to the outer branch (drip line). Add 2 inches of mulch to retain moisture and control weeds. If rainfall falls in below 1 inch per week then irrigation may be necessary.